This video was released in May by the Inuvialuit History Timeline project. 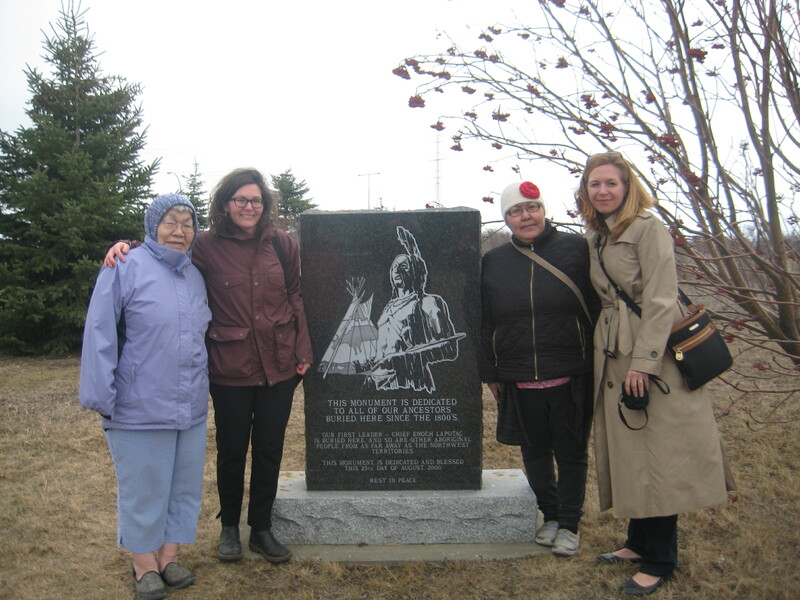 I knew the Camsell’s story was deeper than that, and intimately connected to the work Canadians are doing around reconciliation. I wanted to dig into the history, but didn’t want to repeat past mistakes. So last year, when I set up this blog, I tried to do it with as much humility and compassion as I could. I’ve had missteps, to be sure, but I have learned from them. 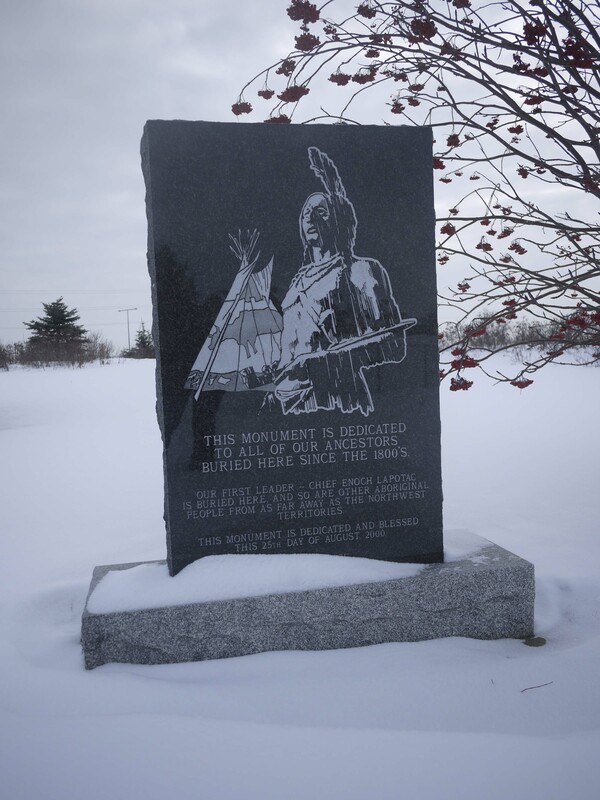 This blog has also connected me with the “Camsell Community,” as I’ve come to think of it – all those former patients, staff members, volunteers, and others – as well as other researchers, artists and spiritual leaders who are trying to make sense of this building’s history and legacy. These individuals, and Edmonton as a whole, have made huge leaps toward understanding in the past two years. There are so many people passionate about holding these bits and pieces up to the light, finding answers, and moving toward reconciliation. There are Indigenous and non-Indigenous academics at the University of Alberta (and other institutions) contributing their skills, for example, to create an archival finding aid families can use to track down information about loved ones. Others are building knowledge about the Occupational Therapy Program and the arts and crafts patients created while at the hospital. 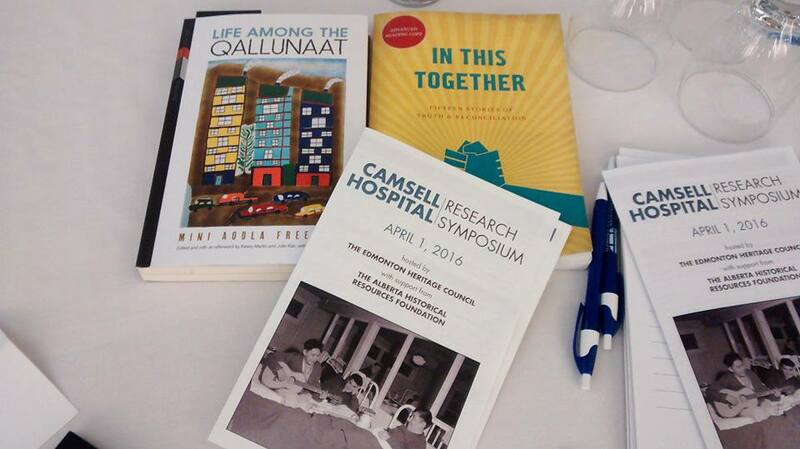 In April of this year, the Edmonton Heritage Council (EHC) hosted a gathering of Elders, former patients and staff, community organizations, and academics at a symposium. All the videos, reports and other information presented and discussed can be found on its website by clicking here. The EHC also commissioned a short documentary, Camsell, that has been screened to sold-out audiences (free of charge) this fall, followed by Q&A sessions. It will soon be online and I’ll link to it when it’s up. After the first screening, the Edmonton City as Museum Project podcast team asked people about their experiences at the Camsell, which led to an insightful 10-minute recording (below). It really shows, in quick fashion, how many voices are woven together in this work. Finally, in book form, Maureen Lux released her work on the Indian Hospital system in Canada, Separate Beds, this spring (from University of Toronto Press). And I’ve been told Gary Geddes has a title coming out early next year on the topic, Unbundled Medicine, from Heritage House, based on his interviews with Elders who were at Indian Hospitals across Canada. My own work continues as well, for Joseph Elulik’s family, who have been wonderful in their support and understanding on this journey. And for me and other Canadians of all backgrounds who want to know better – and do better. I just keep taking small, tentative steps forward, testing my approach, doing self-reflection, and trying to understand. The search for Joseph and my research into the Camsell Hospital has really picked up over the last few months. Part of this is I found out I will be unexpectedly moving to Houston, Texas soon. This doesn’t mean I’ll be turning my back on the people and questions that have haunted me this year. In fact, the opposite is true. I accelerated my quest to find answers for Cathy and her mother, Louisa, and followed clues all over Edmonton. After chasing down some leads I found some of the information they wanted: when and where he died, and where he might be buried. One of my colleagues nicknamed me “CSI, Historian,” which I actually kind of like. Solving historical mysteries – especially when the stakes are so high and personal – is pretty much why I do what I do. These small answers, of course, have raised many more question marks in our minds, and we are continuing the search for information about Joseph. But I hope by next year at least, Louisa will be able to visit her father’s gravesite, something she’s been waiting to do for over fifty years. In the meantime, I’ve been madly making copies of records and publications at the City of Edmonton Archives and the Provincial Archives of Alberta and I will be carting them with me to Texas. So far this has meant a box full of photocopies and a hard-drive full of digital files – about 4000, to be exact. Nothing compared to the millions the TRC has had to wrestle with, but nothing to sneeze at for one lone researcher. One of the things I’ve realized as I’ve done this research, is that while the medical records may be sealed or lost or destroyed, I may be able to piece together a database of former patients in other ways. 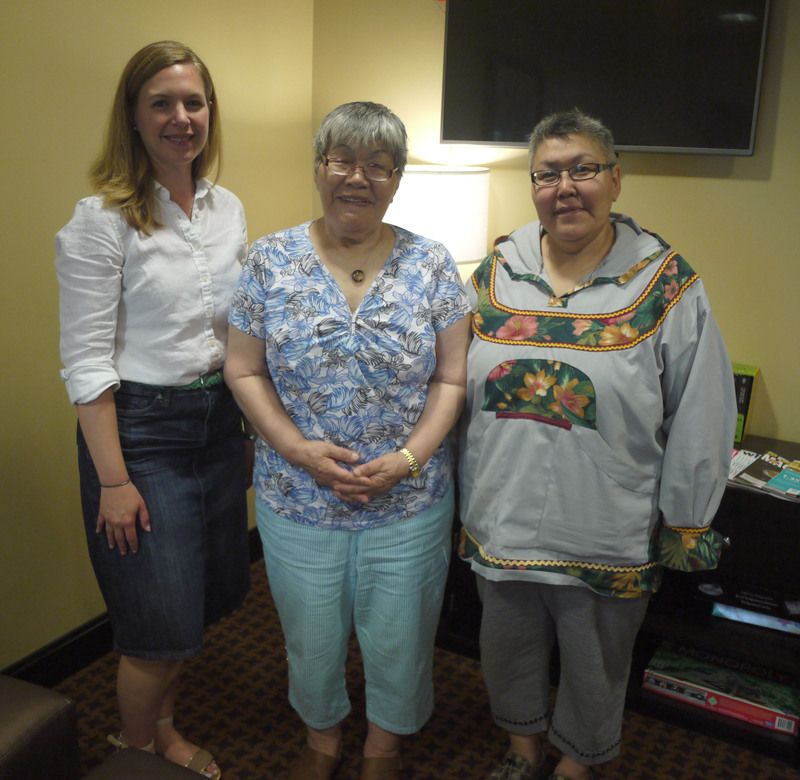 What I’ve been hearing from patients and their families – as well as from residential school Survivors – is that making this information available and accessible could be part of the reconciliation process. They can get information that used to be hidden. They can see their names and those of their loved ones in black and white. It proves they were there and gives weight to their claims. In all my work I want to do more good than harm. So I ask these patients and their family members – what would be the best way to make this information accessible? And I’d like to put the question out there to all of you. If I can get some funding and do this database of names and make it available, what should it be like? During the course of this project, I’ve had a lot of people tell me snippets of stories about their connections to the Camsell. To help gather up and preserve these stories, I’ve partnered up with David Rauch of In Your Own Words to host a recording session. 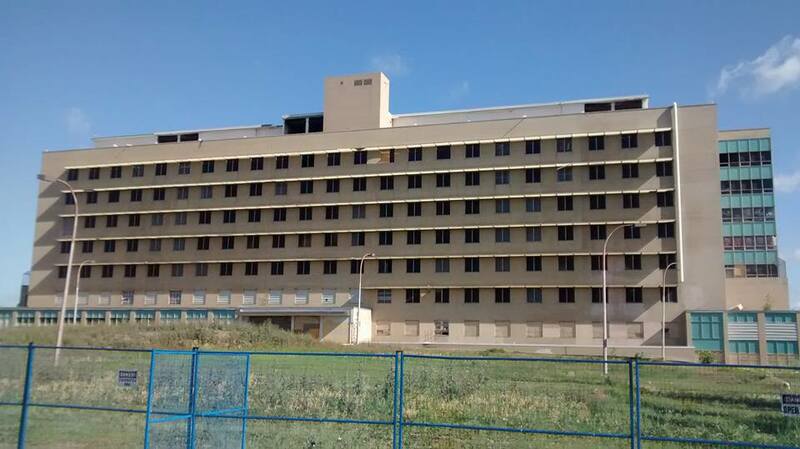 Tuesday, May 19th from 5-8pm at the Stanley Milner Library in Edmonton (Alberta), we’ll be recording any and all memories connected to the Camsell Hospital throughout its long history. Do you remember when it was a Jesuit College or US military base? Were you born there or treated there? Did you work there, or did a relative? Did you perhaps go ghost-hunting there or skateboarding after it was closed (yes, you can stay anonymous!)? What stories do you have that you’d like to share? At the beginning of the session, you’ll sign in, give your name and any additional contact information if you’d like (this will be used strictly internally and won’t be passed on to other parties), and you’ll sign a form affirming that you allow your story to be stored and made public. Individual sessions and two-person interviews will be encouraged. These stories will then be preserved through In Your Own Words on the Cloud (basically the Internet’s hard drive) and we’ll look into preserving them through a local archive as well. The stories may then be used in future heritage works around the Camsell Hospital. Please note, I am also looking into creating safe spaces for indigenous storytelling circles on the Camsell this summer with the assistance of different colleagues and elders. If you would be more comfortable sharing your story in this way, please contact me and I will invite you when the dates are set. And thanks to everyone who has commented on posts, on Facebook, on Twitter, and through email. Our conversations have helped move this project – and my thinking – forward. I hope we can continue to discuss these important questions and solve these troubling mysteries.